We rounded up the best free invoicing tools for freelancers and small business owners. Pick the one that’s best for you. A simple trick in Microsoft Word enables you to freeze and work with two sections of the same document at the same time. Hard to stay focused while working in Windows 10? 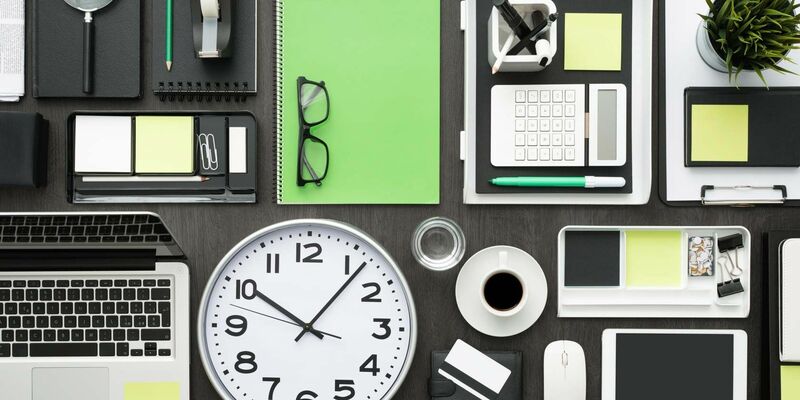 Try these small but effective tweaks to create a more productive environment. Need to forward email from Outlook to Gmail? We’ll show you how to import Outlook to Gmail and bring everything with you. A new Cortana feature will automatically remind you of email tasks and commitments. Here’s how to give it a try now. Pay a compliment on LinkedIn and make a colleague’s day with LinkedIn’s Kudos feature. Slack has the crown. Microsoft Teams is the usurper. Two popular group chat tools battle it out in our comparison. Life can sometimes overwhelm you with stress and anxiety. That’s when these calming apps can help you destress and clear your mind. Cats love laptops, and they love to distract you while you’re working. Reduce feline interference and cat-proof your computer and desk area with these tips. If you subscribe to Office 365, you can create flowcharts in Microsoft Excel. Here’s how to set up a flowchart environment and create flowcharts right away. You can now install a Dropbox add-on for Gmail to help you manage your attachments. If you’ve never used text boxes in Microsoft Word, you’re missing out on a handy feature. Here’s a quick introduction to using them. These bestselling Udemy courses are packed with useful self-improvement advice. Start your journey of personal growth with any of these courses today. Create an interesting image effect in Microsoft PowerPoint by turning a font into a paintbrush shape. If you want to avoid library late fees, here’s a quick way to add events from Gmail to your Google Calendar. Want to create an ebook on your Mac? You don’t need to use iBooks Author. Try creating a beautiful ebook right in Pages instead! A whiteboard is an essential collaboration tool in any office for teams. Here are some of the best digital whiteboard apps you can use for free. If you’ve ever mistyped an email address when sending a message on your iPhone, this trick will stop you from doing so again. Someone sends you a document with images and you need to save one of the images. Right-clicking doesn’t work. What do you do?